The projects of your organization will make or break its future. You will have to adopt rigorous and thorough strategies that will help you to utilize your costs with the ideal and finest use of the organization’s resources. These resources include personnel, time, materials and equipment. Not only that, but you will also have to work around how to make decisions about projects, how to use the data to calculate the risks involved in these projects, and measure the financial performance of the organization. When planning on undergoing a new project, the first stage is to make a breakdown of what resources are planned to be used. This stage is an important stage as it provides the basis on which the tracking of the internal cost is made upon. The methods and techniques differ from project to project. It can also be that companies need to use their expert judgment or historical experience to determine their internal costs. The accuracy of these methods and techniques are sometimes put into question. It is advised that the accuracy of the methods and techniques must be spot on during the initial stages of the project’s internal cost planning. As the project continues to become clear and well-defined, updated and revised estimates can be performed. Once the estimate of the internal costs of the project has been decided, you can send it further to be finalized and approved for the project’s budget. The budget is authorized according to the cost estimate of the internal costs of the project. The finances and funds are then requested, authorized, and received for the project. 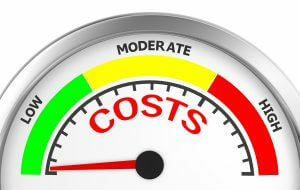 The exercise of measuring the project’s cost performance per the cost baseline is called cost control. The project must follow the laid out effective cost control requirements that were highlighted in the project’s plan. If there are any cost variations found, the management investigates the cause of it. If they are considered to be improper and avoidable, counteractive actions are likely to be taken. Costs can be controlled and tracked throughout the process of the project’s phases. This way, the company can avoid any variations of cost overruns and shape firm financial controls to the project. It is also easier to make cost-related decisions throughout the duration of the project’s life cycle.